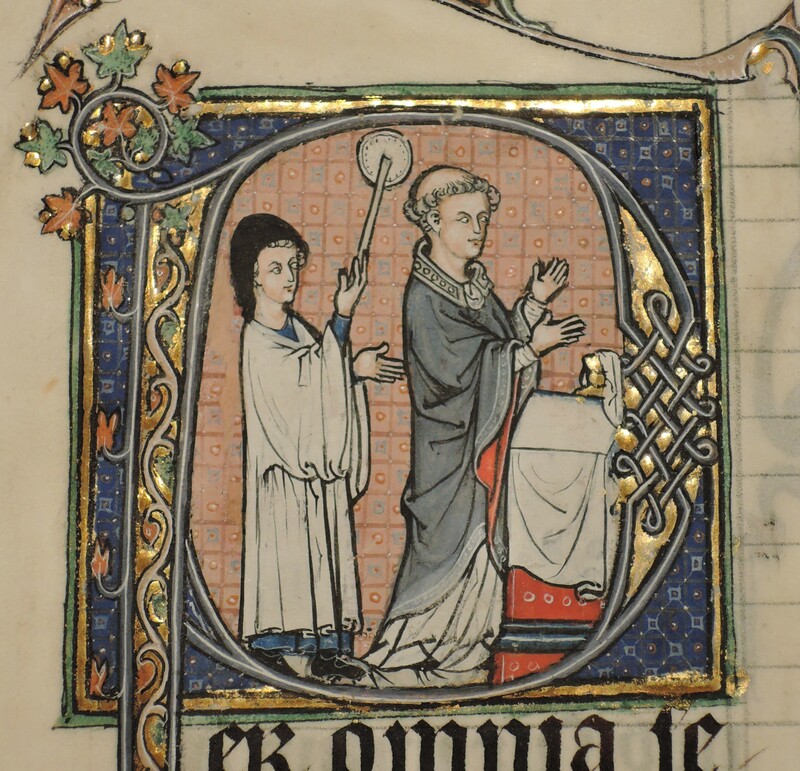 Image from Lisa Fagin Davis’s blog Manuscript Road Trip: Priest saying Mass; Cleveland Museum of Art, ACC. 1982.141 verso, detail. This entry was posted in people, religion and tagged Old English. Bookmark the permalink.